Shakespeare wasn’t talking about “players” in the gaming sense (at least, I don’t think he was–who knows the mind of the Bard? ), but today’s Guide to Gaming topic–role-selection–serves as a bridge between Shakespeare’s players (actors) and the typical players we talk about on this site (gamers), though not in the full-on RPG sense. Role-selection, especially in Euro games, is a little more abstract than that, but it does allow players within the game to identify as, influence, or otherwise gain the support of powerful personages (roles) to accomplish game tasks. Role-selection isn’t the most popular gaming mechanism out there, but as you will see, for the games that use it well, it offers quite a lot of tense decisions and replay value. What Is the Role-Selection Mechanism? Role-selection games involve players choosing a role or action from a standard pool and then executing the ability of that action or role. Usually the pool is common–that is, all players have access to it–and the roles represent different phases in the game. Role-selection games usually take place over the course of rounds, with each player choosing a role within the round and the privilege to choose first passing from round to round. Some role-selection games (like Puerto Rico) see all players executing a role when it is chosen. Others (like Glory to Rome or Eminent Domain) allow players to choose whether to execute the role, receiving some alternate benefit for not doing so. (These two games are also not played in rounds, so there’s no time when roles or first player resets.) In still other games (like Citadels) the roles are personal, with only the choosing player executing the action. 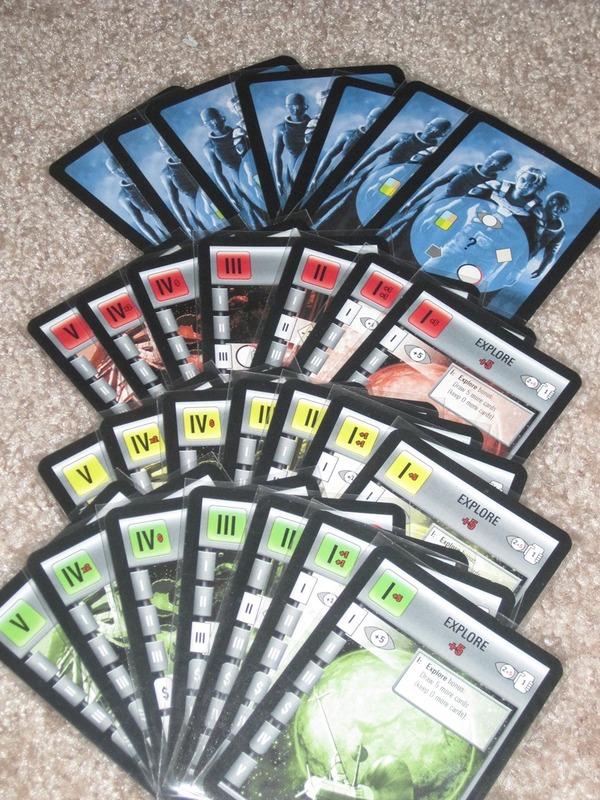 Role-selection games may follow a set order for phases (as in Race for the Galaxy or Citadels) or have a variable phase order (like Puerto Rico or Glory to Rome). The choosing player usually receives some benefit for selecting the role, whether that benefit is a bonus or privilege above what the role allows each player to do or simply the benefit of executing the role in the best order. Andreas Seyfarth’s Puerto Rico is probably the most famous and highest regarded game to use the role-selection mechanism, though it was not the first game to use it. Still, when most people talk about role-selection, they’re probably talking about the Puerto Rico-style implementation of it: the game happens in rounds, each player (in order) chooses a role that all players execute, the choosing player receives a bonus for choosing it. Player engagement: Role-selection games usually keep players involved for the whole game, especially in games where the role a player chooses allows all players to complete the action. However, even beyond this, role selection involves the tension of trying to plan out how to accomplish what you want with the available roles. Even if players aren’t actively changing the game state, there’s enough to think about when other players are taking their turns that there’s not much downtime in the game. Player interaction: Because there are limited roles available, players must decide which role will best suit their strategy. However, role-selection games also usually require players to consider what will not help others’ strategies. Especially in games where other players can complete the same action as the chooser, the chooser must be careful: by choosing the role, is he or she giving an advantage to an opponent? Is there another player who will benefit more from the choice than you? Similarly, players must look for ways to capitalize on other players’ role selections. Role-selection games occasionally have direct conflict, but interaction is more in these subtle but very present choices behind the scenes. Rewards clever play/encourages tough decisions: Because role-selection games often have players finding ways to benefit from other players’ choices, they are very often optimization games where players are most rewarded for being just a little bit better than their opponents. It’s very satisfying to piggyback off other players’ choices and spin them to your own advantage. If, as Grant Rodiek says, one of the marks of a great game is to help the players feel clever, role-selection games naturally trend toward this trait. Cohesion: A good role-selection game has a feeling of cohesion, that the game holds together well and every part is necessary. To do this, all of the roles must be attractive and necessary to win. Thus, players must balance and capitalize on each kind of role. Puerto Rico is an excellent example of this. Players must have buildings to be able to do anything (builder role), but in order to build, they must first have money. The main way to get money is through producing and selling goods (craftsman/trader), but players must balance this with the main way to score points in the game: shipping goods (captain). Replayability: Generally role-selection games have high replay value. Why? Because there is usually not just one way to win, and more than some other games, the personalities of the players will affect which roles are selected and how often. There are also usually more moving parts in role-selection games, which changes the game state enough from game to game to keep things interesting. What Are the Drawbacks of Role-Selection? Optimization: As I mentioned in the positives, role-selection games are often optimization games. Scores are usually close, but because of this, it can be difficult to choose a path to victory that is just a little bit better than the other paths. Learning curve: Because role-selection games often involve some level of optimization and because a good role-selection game requires a general knowledge overview of how the pieces fit together, the learning curve can be a bit difficult for new players. Still, as there will be limited roles to learn, it’s usually not too bad a few turns in, though new players may not be competitive right away. Puerto Rico: The granddaddy of role-selection is still one of the best. This game keeps all players involved, adequately incentivizes roles that might not get chosen much, and rewards players for accurately reading the game situation. Plus, it’s a blast to play from beginning to end. Glory to Rome: Glory to Rome is one of my top five games. Each play is different, and the game is full of hundreds of “game-breaking” combos. The decisions are agonizing since the roles players choose are also the materials they need to build, the structures they want to build, and potential points if they are sold on the black market. Also, each card that players use for roles will be available to all other players through the pool. 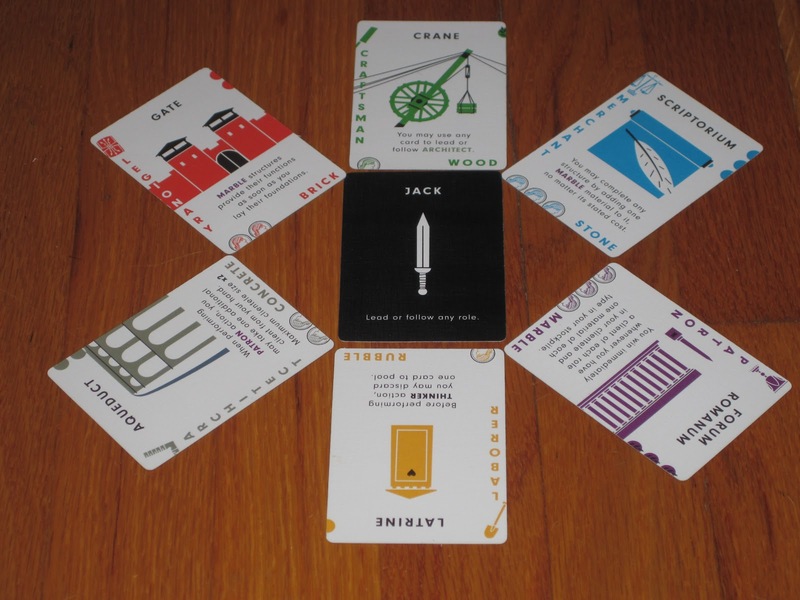 Players have an opportunity to follow (by playing a matching role card) or “think” (refill their hands with cards) on each turn, which keeps them involved. Race for the Galaxy: Race for the Galaxy (and the similar, though in my opinion blander, San Juan) takes the Puerto Rico formula and translates it into a card game. The main difference is that instead of money, players discard cards to pay for cards added to their tableaus, and each player has their own hand of role cards to choose from. Players choose secretly and simultaneously, and whichever roles are chosen represent the phases that will take place that round (always in order), with each choosing player receiving a bonus. Eminent Domain: Eminent Domain is similar to Glory to Rome in that the game is not played in rounds: each turn a player will play a role card, and other players may follow or dissent (draw a card). 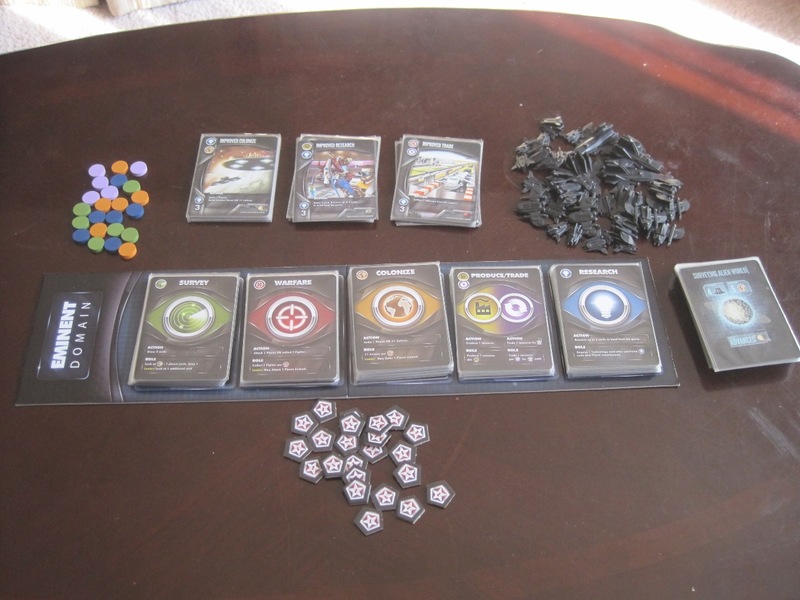 Eminent Domain adds deck-building to the mix, as each player has their own deck of cards. This deck “learns” as players play, and players get better and better at certain roles as the game progresses. Citadels/Mission: Red Planet: Citadels and Mission: Red Planet use a similar mode of role-selection. Players select one card from those available, and one player “calls” the roles in order. Whoever chose that role responds and does their action, and so on. 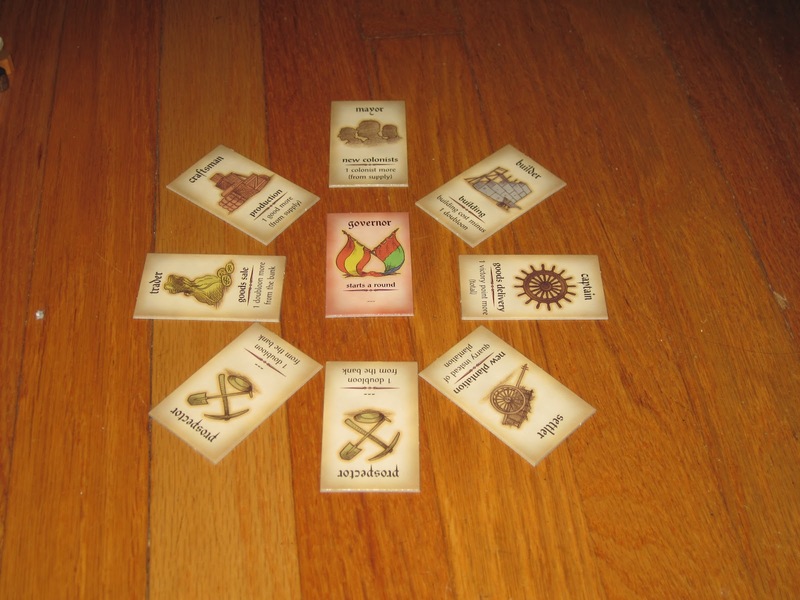 In Citadels, the roles are a common pack, and players secretly draft one and pass the rest to the next player. In Mission: Red Planet, each player has his own stack of roles to choose from (secretly and simultaneously), and once a role is used, it can’t be used again. Citadels’ role selection is more interesting for its deduction element, but I think Mission: Red Planet is a better game. This timeline is meant to highlight some exemplary cases in the genre and is by no means exhaustive. What are some of your favorite games that use the role-selection mechanism? You ALMOST forgot the most exemplary role-selection game of all time, but then you squeezed it in in the last second on the timeline. Twilight Imperium has EVERY MECHANISM EVER. There’s no escaping it on any of these lists.